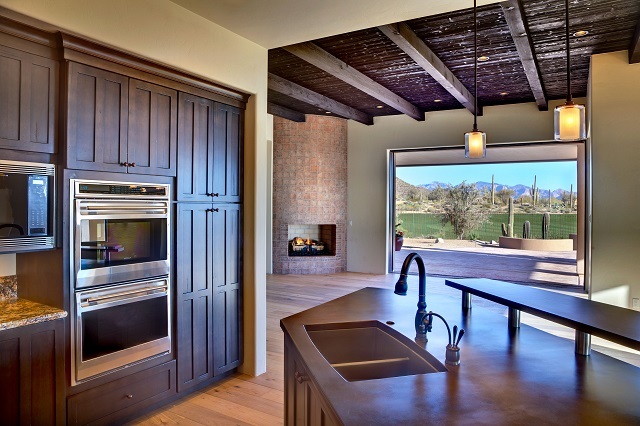 The Tucson luxury real estate market is as hot as the desert sun right now! The market is the strongest it’s been in the past couple of years with a super-low absorption rate of 2.73 reported in June 2012. In fact, there are currently fewer than 3,500 homes available for sale in Tucson including short sales and bank owned homes. Additionally, the average days on market decreased again in June to a mere 68. So if you’re looking to purchase a home in the Tucson luxury real estate market it would be wise to act fast before someone else buys your dream home before you. Home-buyers are taking advantage of low interest rates and other great perks when purchasing their Tucson luxury homes this summer. Interest rates are touching record lows almost daily and are not expected to remain around long. The markets will react sometime soon and rates may well spike back up a quarter to a half point. The July 2012 total active listings in Tucson have gone down from June 2012 while total new listings have gone up. This means that buyers have less to choose from but there are still new listings being added each month. So even if you miss out on your first offer this summer, rest assured you will find a great home in the Tucson luxury real estate market. According to the July 2012 Tucson Luxury Housing Report, “As of June 2012 active luxury inventory was 221, an 11% decrease from June 2011.” This statistic indicates that the Tucson luxury real estate market is essentially a seller’s market with the demand outpacing supply. Additionally, the June 2012 median price of luxury sold homes was $1,075,000, up 14% from June 2011. It’s no secret that the economy has struggled the past 4 years however when looking at the current Tucson luxury real estate statistics it is apparent that the city, state and country is in the process of recovery and well on the way to being a strong market leader in the near future. Purchasing a home in The Residences at The Ritz-Carlton, Dove Mountain means having an abundance of luxury amenities at your fingertips! This includes a world-class spa and three restaurants offering fine dining with extraordinary desert views, a relaxing poolside café, and the casual yet elegant lobby lounge at The Ritz-Carlton hotel in Tucson. And the perks don’t stop there – those fortunate enough to live at The Residences also have access to the famous Jack Nicklaus designed golf courses, several resort pools with private cabanas, a tanning island and water slides for kids. There are fitness classes, tennis courts, sand volleyball, bocce ball, Ritz Kids activities, cultural programs and more all available for home owners who live in The Residences. The Residences at The Ritz-Carlton, Dove Mountain are ideally located off the beaten path yet still close to Tucson. If you’re in the market for a beautiful luxury home in Tucson, look no further than The Residences at The Ritz-Carlton, Dove Mountain. Contact us today for more information. As an dove mountain real estate homeowner at The Residences at The Ritz-Carlton®, Dove Mountain, you can rest assured that the views, peacefulness and natural beauty are yours forever. Your story is just beginning.